WASHINGTON -- The UK's looming exit from the European Union is another huge setback for negotiations on a massive U.S.-EU free trade deal that were already stalled by deeply entrenched differences and growing anti-trade sentiment on both sides of the Atlantic. The historic divorce launched by Thursday's vote will almost certainly further delay substantial progress in the Transatlantic Trade and Investment Partnership (TTIP) talks as the remaining 27 EU states sort out their own new relationship with the UK, trade experts said on Friday. With French and German officials increasingly voicing skepticism about TTIP's chances for success, the UK's departure from the deal could sink hopes of a deal before President Barack Obama leaves office in January. "The importance of trade and investment is indisputable in our relationships with both the European Union and the United Kingdom," Froman said. 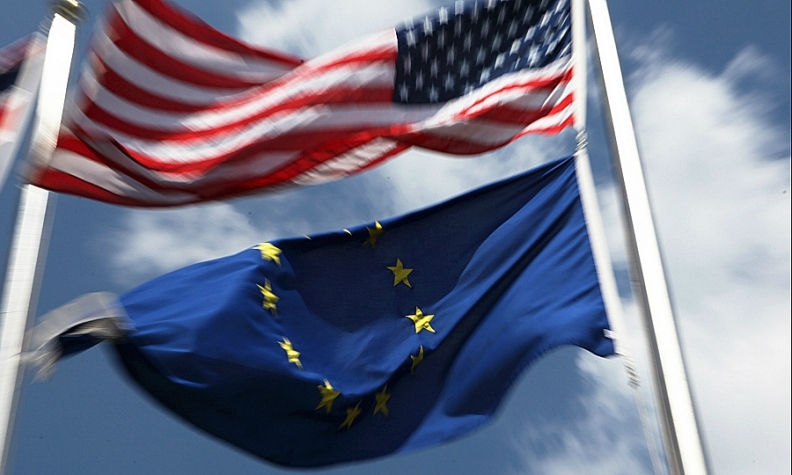 "The economic and strategic rationale for TTIP remains strong." TTIP negotiators are still expected to meet in Brussels in mid-July as scheduled, but those talks were aimed at focusing on less controversial issues while leaving the thorniest disagreements for U.S. and EU political leaders to resolve. And it is unclear when the UK will launch formal separation proceedings, which will take at least two years. The UK's departure could leave U.S. negotiators facing a European side that is more dug-in on some issues, said Chad Bown, a senior fellow at the Peterson Institute for International Economics, a think tank in Washington. European negotiators have complained that the U.S. States has offered too little to open up its vast federal, state and local government procurement markets to European vendors with "Buy American" preferences in place.